Formally known as 'Spike's Relish 100g' is a Moist & Meaty treat which is highly palatable and nutritious for hedgehogs. 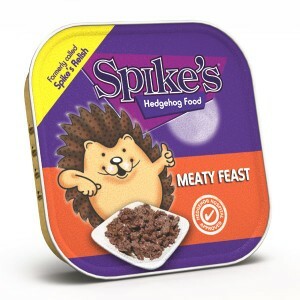 Can be fed on it's own or mixed with Spike's Delicious Dry Hedgehog Food. Foil ready to serve container Leave out each evening in a quiet area of the garden along with a shallow dish of fresh water.